A little over a month ago I was contacted by three separate people about an issue that touched a bit of a raw nerve with me. 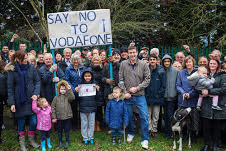 Residents near the corner of Auriol Park Road and Salisbury Road are fighting to stop the installation of a mobile phone mast on the grass verge opposite Auriol Park Road. 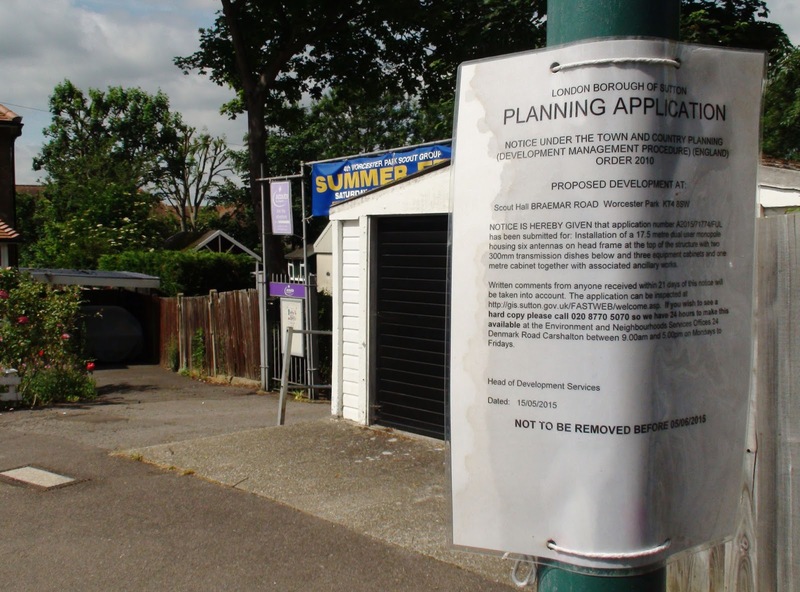 "The mast will be completely out of keeping in the area and the base stations will be a platform for youths to climb onto once the park is closed, which will increase anti-social behaviour." 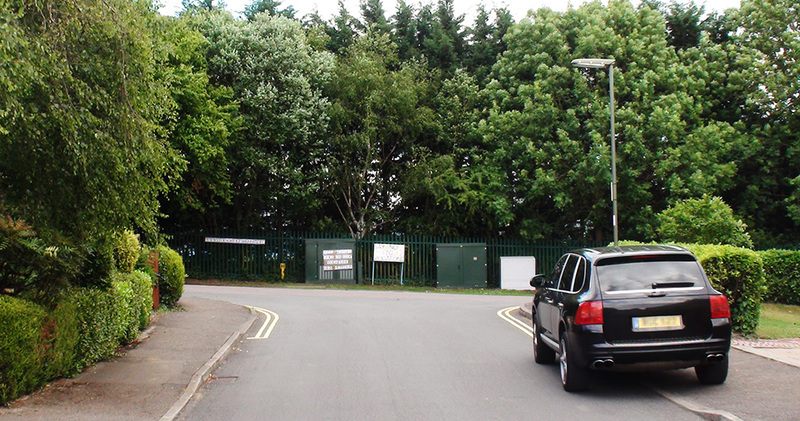 "I feel it would definitely ruin a very picturesque road/area." They have set up a petition which has already attracted over 500 signatures. Feel free to add yours to it here: www.stopauriolparkmast.org. The issue of mobile phone masts has been one that has divided society for more than a decade. On one side people like the convenience of wireless 'anywhere' communication, however such technology requires the existence on hundreds of thousands of these 'masts' (the Americans call them 'Cell Towers') to actually send and receive the microwave encoded data signals to all those mobile devices. Many people don't want such street furniture in their immediate vicinity for a variety of reasons. In this case they feel it is 'completely out of keeping with the area'. I asked one organiser if they were prepared to put up with poor mobile phone reception as a consequence and was assured they certainly were. They said it should be up to them in their local area to make the choice between good mobile reception with a mast or poor reception and no mast. They wanted the latter. I have personal first hand knowledge of dealing with a similar issue and they have my sympathy. What comes next is a description of my personal story with regard to this issue. 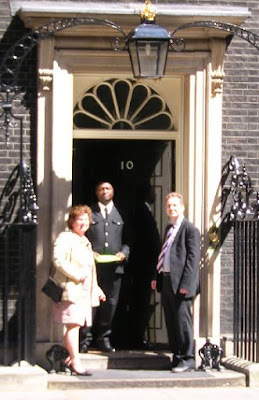 In many ways it has had a bearing on who I am today and was the springboard to my becoming involved with the local community, of which getting involved with local politics, community issues in Worcester Park and ultimately running this blog all stem from. In 2004 I moved to the area with my (now) wife - wanting to be closer to my Grandmother and other family near by. 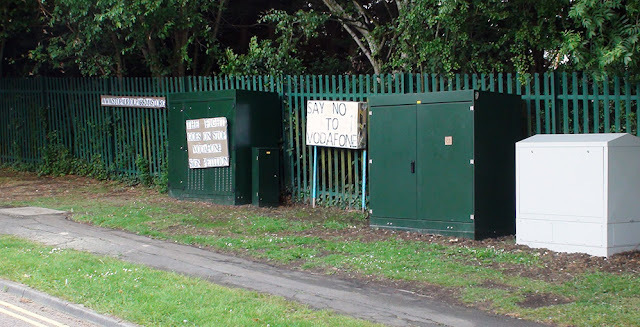 Less than a couple of months later O2 was preparing to erect a huge mobile phone mast directly opposite my house. I decided to research the implications of this and was stunned by what I unearthed. Far from being 'no evidence of any harm' caused by the radiation from mobile phones and their corresponding masts, I found plenty. There have been numerous published (and peer reviewed) scientific studies on the issue and a great many of them show statistically significant evidence of biological harm (Google the subject and you will find many). A favourite quote being rolled out at the time was that, "The balance of evidence suggests that mobile phone technologies do not cause adverse health effects." When it comes to my family's health however, 'the balance of evidence' is not good enough for me. Only 'proven beyond all reasonable doubt' is evidentially sufficient for my reassurance. I was not prepared to be a guinea-pig in someone else's epidemiological experiment and I didn't see why anyone else should be either. 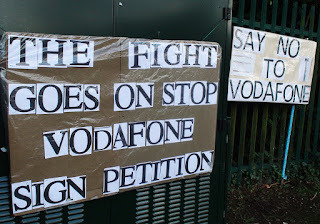 I knew that a letter of protest to my MP would be as much use as trying to push a mast over with my bare hands so my response was instead to leaflet all my neighbours, telling them what I knew and asking them to write to their local MP. Where one letter would do little, numerous ones might make a difference. I delivered around 1000 letters to residences within a 500 metre radius of the site. The response was phenomenal. My MP contacted me first to say he had received numerous letters about this 'because of me'. He even organised an adjournment debate in Parliament on the issue which he invited me to. His performance however was unresearched and sketchy at best and ultimately a complete waste of time. He was not able or prepared to put forward the strong arguments that would force a change in the law. Later on I found out from another MP that calling an adjournment debate is sometimes a way of placating a difficult constituent while having little intention of actually achieving anything. After a few years I had printed and delivered a score of such leaflets to the same 1000 or so households, joined a group called 'Mast Sanity', organised a local protest, an on-line Government petition, a council debate in Merton which I addressed, covered my home in aluminium foil to make a point, been mentioned a few times in the Sutton and Wimbledon Guardian and petitioned Gordon Brown when he was Prime Minister with a copy of the Bioinitiative Report. All of it unfortunately futile. I found out exactly how hard it is to take on the system when the system has already decided what the truth is. But I learned something else too. Something that seemed less important at the time but which has made a huge difference to my life. I learned that by merely getting involved I can change things. Having mobilised the community once I tried it again but this time on something that could be achieved. I organised the largest public tree planting project in Sutton's History. The results of which stand proudly in Reigate Rec (just the other side of Stonecot Hill) or The Daisy Field as it is known locally. This formed the basis of The Friends Of The Daisy Field which I founded and have remained chair of for the several years since. This is not my autobiography so I won't continue with the details of how this led to me writing this blog, becoming vice chair of the Worcester Park Residents' Association or even standing for a council seat. Suffice to say that I enjoy standing up for the the local community and want to help where I can. 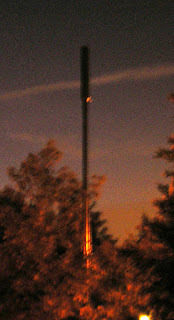 The mast still stands outside our home (above is a photo of it taken by my wife from a bedroom window soon after it went up). I have little appetite for wireless technology and avoid using a mobile phone when I can. However on a positive side my family and neighbours haven't all been diagnosed with cancer (although next door's dog did die from a tumour) so touch wood we might be okay. The general public has since learned that they will be ridiculed if they protest against masts on health grounds so people have tended to drop such arguments. The spectre of danger however never seems to quite go away. In Berkeley, Califorinia, lawmakers have just voted to require cellphone retailers to provide customers with a notice of the potential health hazards of their mobile phone radiation. 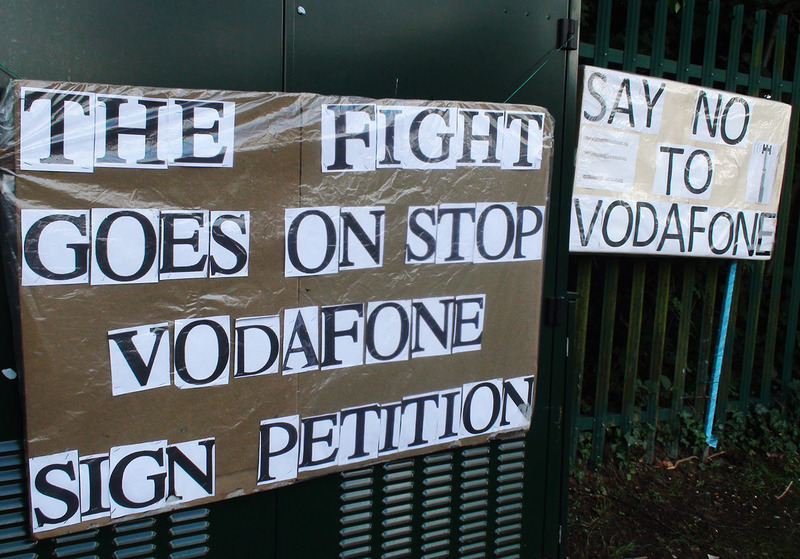 This was of course fought against tooth and nail by CTIA – The Wireless Association. "Cell Phones - Invisible Hazards in the Wireless Age" by Dr George Carlo, the American Public Health Scientist asked to run the $25 million research program into the health effects of mobile phones in the 1990's. "Disconnect - The Truth about Cell Phone Radiation, what the industry has done to hide it, and how to protect your family." by Dr Devra Davis, Scientific Advisor to President Clinton. The situation seems to boil down to this: The technology was being rolled out assuming it was safe. By the time they found out it might not be, too much money had been invested in the technology to pull out. I take a much more relaxed view these day. I've said my piece. It is by no means certain that there is a problem, just as it is not certain that there isn't. I would just prefer the evidence to come ahead of the vested interests. For my part I will stand up for the right of people to decide for themselves if they want to take the risk. - I would prefer not to take it; others would rather be surrounded by masts and wifi if it means a better quality of wifi and mobile phone coverage. I don't care which you choose as long as you get to exercise your choice. Additionally I was recently alerted to a mast planning application in Balmoral Road, just outside the Scout Hall there. Unfortunately I didn't get a chance to really look at this until after the deadline for submissions to the council. However if local people want to have a say about this, I will certainly do what I can to help.